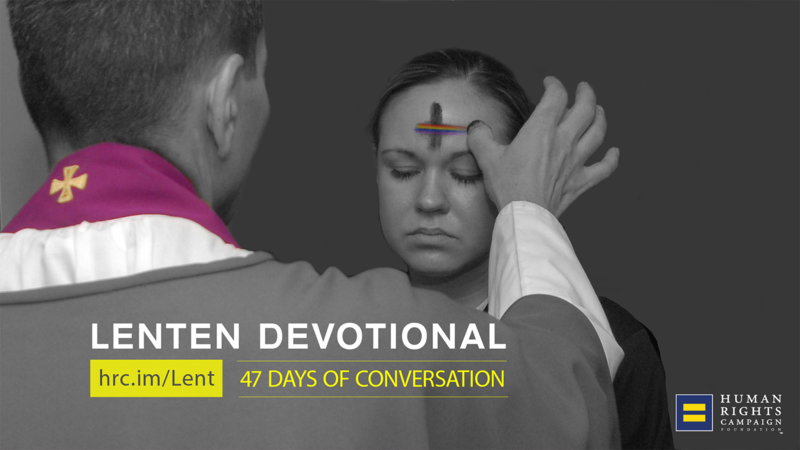 HRC launched a campaign during the Christian holy season of Lent to tell the stories of LGBTQ people of faith and their allies. The campaign seeks to create an environment in which LGBTQ people of faith and their allies can practice the spiritual traditions of their faith in a welcoming, inclusive environment. For the next 47 days, HRC will share devotionals from faith leaders, LGBTQ people and allies. These stories will be posted on the HRC website and on Twitter and Facebook. People look to their faith as a source of guidance and inspiration – and LGBTQ people and our family and friends are no different. The HRC Religion and Faith Program is working to create a world where nobody is forced to choose between who they are, whom they love and what they believe. Thanks in part to this work, more and more faith communities aren’t simply engaging in dialogue around LGBTQ equality, they’re leading the conversation. They do this work not in spite of their religious beliefs but because of them.